What makes a good picnic? As a children we were always embarrassed when Mom unloaded the picnic from the car, it was a giant encampment of fold out tables with table cloths, every type of pasta salad and chicken satay that you could imagine, hard boiled eggs, vegetable crisps the full works. Back then I wondered why we couldn't have simple sandwiches from an old ice cream tub like everyone else but now I'm older I really appreciate all the love and effort that went into those mammoth banquet style picnics. Trevor has a race on Sunday and I'll be heading out early (with a giant picnic for everyone) to get the best picnic spot on the course. It's my turn to make the picnic for the family and I have some high picnicking standards to live up. As I was pondering what to include and hoping for great weather, I started thinking about what makes a good picnic. Picnics are a social occasion, have foods that you can share, like tear and share breads or big bowls that you can all tuck into. A picnic is a leisurely lingering type of event. If you've got ants crawling up you legs and prickly sticks up you're bum it's not going to be a happy affair. You need a thick lined picnic blanket. I like the ones with a waterproof bottom, easy to wipe down and they fold up into carrying pouch. 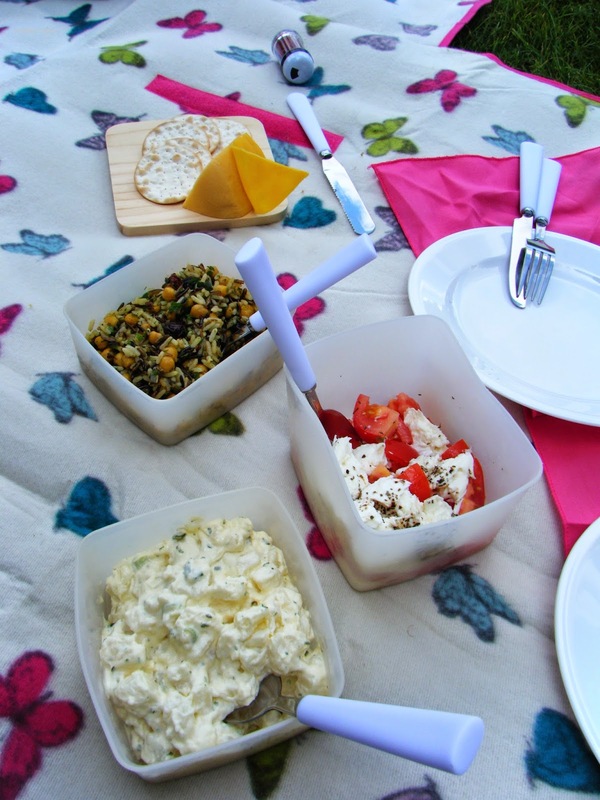 If you've ever had a leaky box of oily olives greasing up your picnic bag then you'll know the peace of mind that a reliably air tight sealed bit of Tupperware can bring. Does it matter if your picnic bowls match the rug or if everything packs away into a handy rucksack, securely strapped in with matching the napkins? Well, no it probably doesn't but it is immensely satisfying when you see the look on your guests faces as you start to unpack. Next has a lovely range of picnic rucksacks, I made a video about this pink and white butterfly backpack because it's just too cute for words. Prepare everything. Cut bite sized pieces in advance, this isn't a formal dinner, ditch the cutlery and go for easy to handle skewers, rice balls or foods that can be speared onto cocktail sticks. I don't usually go in for the premixed cans but the Smirnoff and coke is surprisingly good. Undoubtedly, you are paying for the convenience but that's just what you need for a picnic, hauling a glass bottle of vodka and the accompanying coke it just too cumbersome. Plus, you get the full fizz of a new can every time, no flat coke languishing in the sun, pop the other cans tidily into a cool bag until you are ready for them. An alternative to this is to invest in a couple of flip top bottles and pre mix your own drinks. I haven't managed to get quite that organised but with the coloured Kilner bottles are tempting me. Collect condiments packs. You know the little sachets of salt and wet wipes that you get at fast food places? They are perfect for picnics so take a couple of extras next time your come across them. 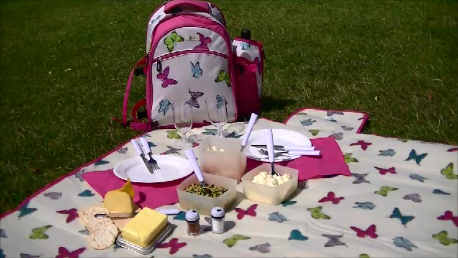 Do you have a great picnic tip?